Halloween is fast approaching and that means a whole lot of pumpkins – many of which end up carved and on front porches and steps, their glowing faces ready to greet trick-or-treaters. Have you ever paused to wonder what happens to those pumpkins once they’ve served their purpose? Well, a lot of the 1.9 billion or so pumpkins grown each year end up in the trash, contributing to the 40% of food (it is edible, after all) that is wasted in the US. In our landfills, those pumpkins break down and create methane, a powerful greenhouse gas that contributes towards climate change – a haunting fact. 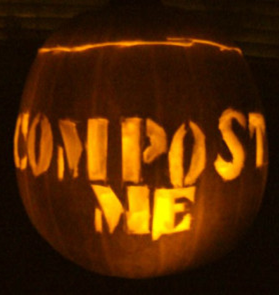 No fear – SCARCE is working to change that stat and it’s pretty simple: compost those pumpkins! Wheaton High Schoolers pose with the pumpkins collected the first year. 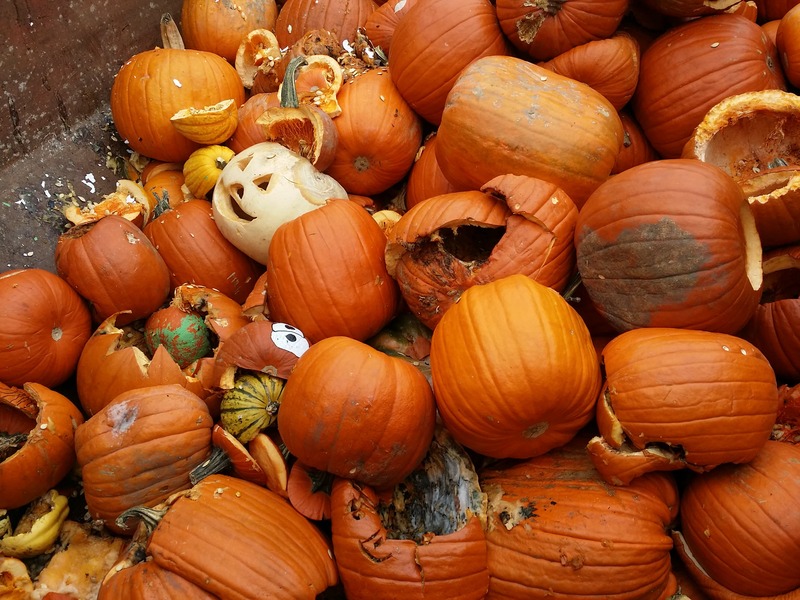 In 2014 SCARCE began an annual post-Halloween pumpkin collection with three sites. The way it works is simple: on the Saturday after Halloween, residents are invited to drive their pumpkins to a drop-off site where they are collected and then taken by waste haulers to commercial compost facilities nearby. It provides a service for homeowners and yardless folks alike to responsibly dispose of their pumpkin and also provides an opportunity to educate residents about the importance of keeping contaminants (non-biodegradable things like yarn, googly eyes, and stickers) out of the compost stream. 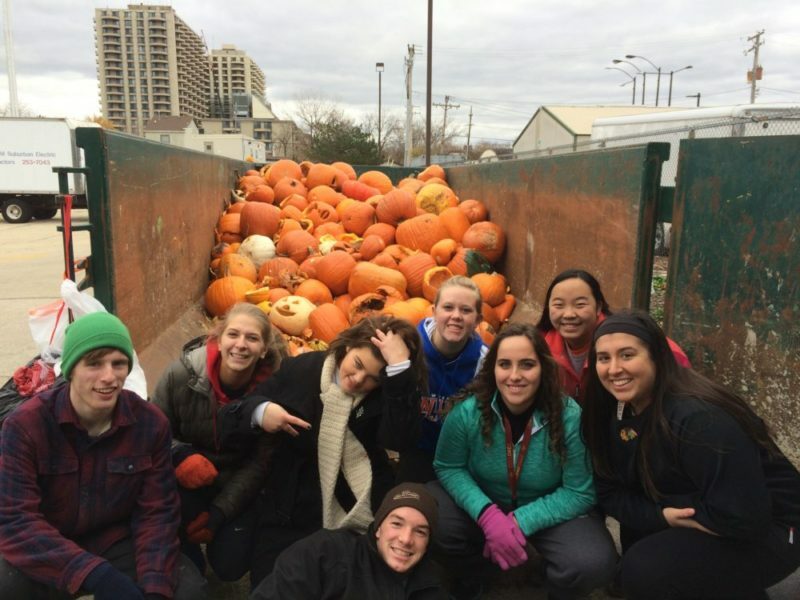 In the first year the three sites in Elmhurst, Glen Ellyn and Wheaton collectively diverted 9.31 tons of pumpkins from the landfill and back to nourish Illinois’ soil. That first year brought to light some gaps in state policy that made compost collections a bit of a gray area, concerning legality (including a debate as to whether or not pumpkins are food). 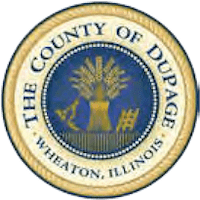 So, over the course of the next few months, SCARCE worked with the Illinois Environmental Council to update state policy so that it would facilitate, not hinder, collections for compost in Illinois. With the process streamlined for 2015, collections expanded to 16 sites in the Chicago suburbs collecting a whopping 26.5 tons of pumpkins. 2016 promises to be the biggest year yet with even more communities joining the movement to collect and compost pumpkins. SCARCE has resources for anyone interested in starting a collection in their town. We are excited to continue to see the event grow and appreciate all the towns and organizations that have made this event a success! So glad you asked! Composting pumpkins not only reduces greenhouse gas emissions from landfills but it also reduces the amount of leachate in landfills (pumpkins are over 90% water after all) and returns valuable nutrients to our soil, especially important in an agricultural state such as Illinois. Leachate from landfills must be carefully managed and specially contained to prevent it from contaminating groundwater and can be full of all kinds of nasty stuff. Compost also helps soil to retain moisture and prevent erosion, all good things for our topsoil. Many compost sites are in fact closer than landfills are to the Chicago area. Much of our trash is trucked a few hours away. Composting pumpkins instead of trashing them reduces how far they have to travel at the end of their life. On a final note, if you have a yard and don’t mind using it, simply put your pumpkin outside away from the house and allow it to decompose. Pumpkins are an easy first-try for backyard composting. If your pumpkin isn’t carved, you can speed up the process by smashing it or cutting it apart. Squirrels and other animals will help you out, too and come spring, your pumpkin will be gone! No hauler needed. Illinois grows the most pumpkins in the United States and the small town of Morton, IL cans over 85% of “processing” pumpkins grown worldwide. Not only that, but in 2015 Illinois declared pumpkin pie the state pie. We’ve got a certain affinity for the gourd. To solidify our lead in all things pumpkin,we want to be the leading state for pumpkin composting. NPR Do We Waste a Lot of Pumpkins We Could Be Eating?